Long awaited and deadly double 12″ from the king of machine chatter. 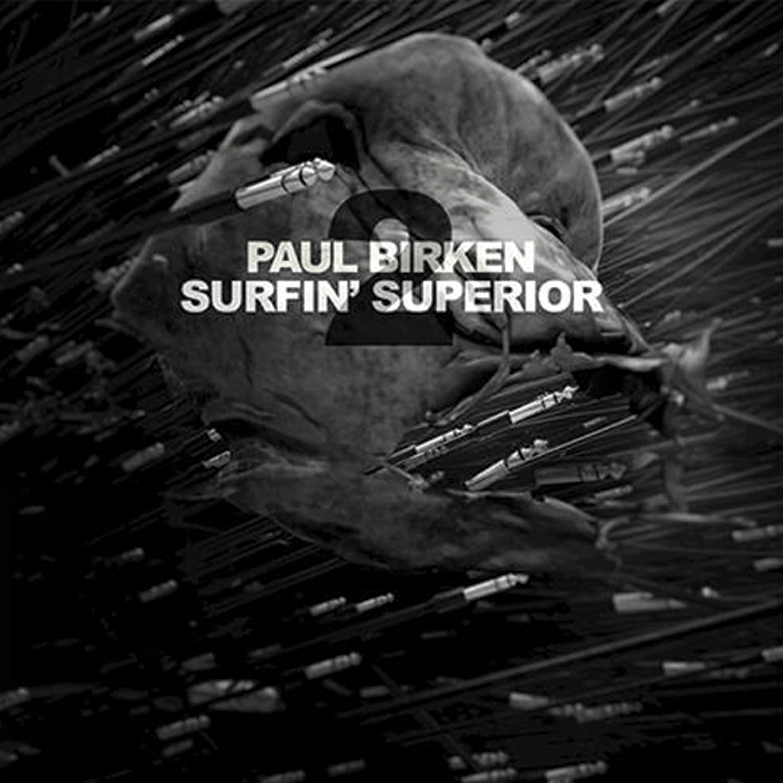 This is a follow up to 1996’s classic Surfin Superior 2 x 12″ released on Woody McBride’s Communique records. Paul makes the machines sing as only he can !! In stock and ready to go !! Hard and expressive Techno to rock dancefloors. a1. Kicking off this album is a tune called Road rash. Paul said he was inspired by the Sega megadrive/genesis game Road rash. With the shuffling n´ a truffling cowbelling beat, it sets the mood just right. a2. 117 grain bots takes you to another dimension, hey close the tension. No shut up! This is a Paul tune with a mc202 that is somehow ultra-magnetic, supersonic and electronic. and so then they built a gigant super collider, BOOM!. b1. This Australian odyssey about Neighbors talking trash, is a tribute to Kylie Minogue and her epic comedy stand up about koala´s with herpes talking trash to dingos with boomerangs. b2. From beyond isle royale makes you think of the 70´s show Land of the lost. With its pounding drums and funky bassline, the groove is in your heart like John Travolta on the dance floor. Put on your rubber boots and go nuts in the forest cutting down pinewood trees with a seabass. c1. Ugh! Rocky vs Apollo round 2 ding ding! and in comes Little Mac with his chocolate eating coach. It becomes an 2 on 2 showdown between Rocky, Apollo and Little Mac with his coach Doc Louis. Bingbadabing! and the match is on! Pull up your pants over the stomach and do the King Hippo twerk! Rocky screams for Adrian, because she took his Nintendo 8bit. Apollo gets confused and thinks he´s a spacecraft, while the Predator dances after him. Mr. Jerome (Hill) Doc Chocolate bar Louis opens another chocolate bar while Little Mac goes to the left and swings a star punch (by pressing select) in Balboas bawbag. KO! c2. Sand mites we write into google and search. You get a picture of an onion? and a sand flea playing his drums that´s sounding a lot like acid. Then guybrush threepwood showed up and started a grog contest with spit in it. Lechuck was on his heels with a banana from monkey island. But he just let of some wind to expose the big whoop! d1. Passing thru dull drums was a quote by Arnold Schwarzenegger in the movie Kindergarden cop. We asked the poet Arnold about it, but he just said I will come sometimes, but not right now!. get to the CHOPPAH! or dance yourself stupid (not the tonewrecker record). d2. Severed sanctions is the final showdown of the album (or little tokyo with Kurt Russel being super angry with you!). You feel like Snake Plissken when you are pumping this track in a taxi, driven by Ernest Borgnine to Isaac Chef Hayes party! Supported by, DJ´s, digi-jockeys, Dairy farmers, Vladimir Putin, Unicycling bears, Daycare centers and magic German sausages.